My daughter, Jenny, and I have been making what we call “Bugs” for years. As a matter of fact, it is now an annual tradition. 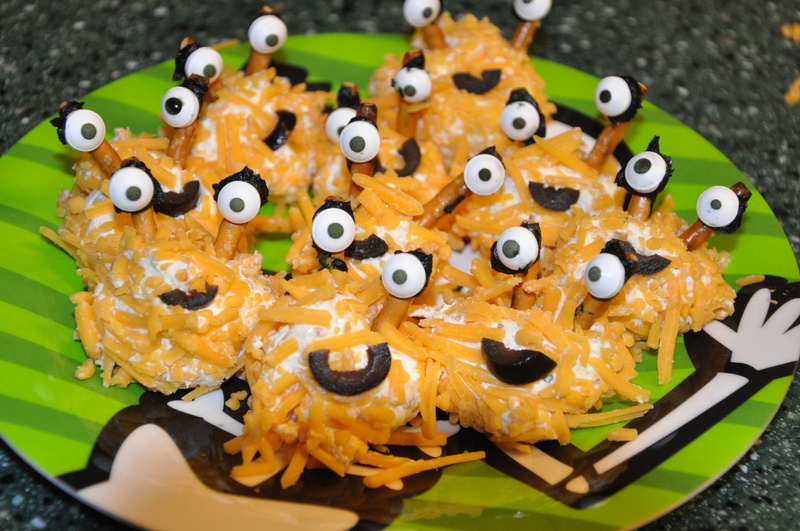 This year I found another cute food item on the internet and decided to give it my own twist. Here are our now two favorite Halloween Goodies! Hope you enjoy them as much as we do. They are a little time consuming to make, but great fun and great bonding with your family members…right up there with carving pumpkins. 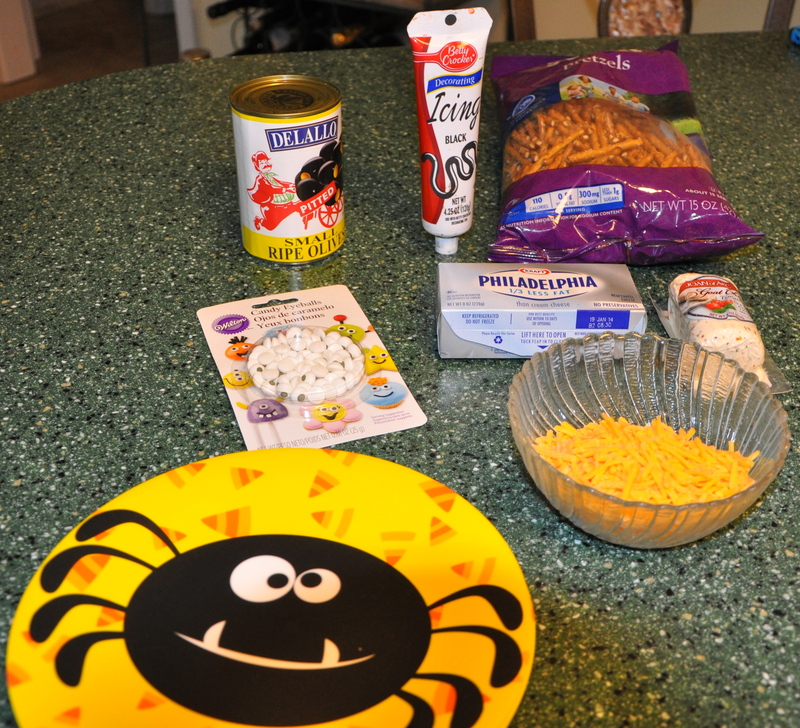 Ingredients need for Monster Cheese Balls…. Combine 4 ounces of goat cheese (I used sun dried tomato flavored), 8 ounces of softened cream cheese, and 1 teaspoon of chives in a mixing bowl or bowl of a food processor, and combine until smooth. Using a small scoop, scoop cheese mixture, roll into shredded cheese until covered. Cut black olives thinly and then in half for mouths. 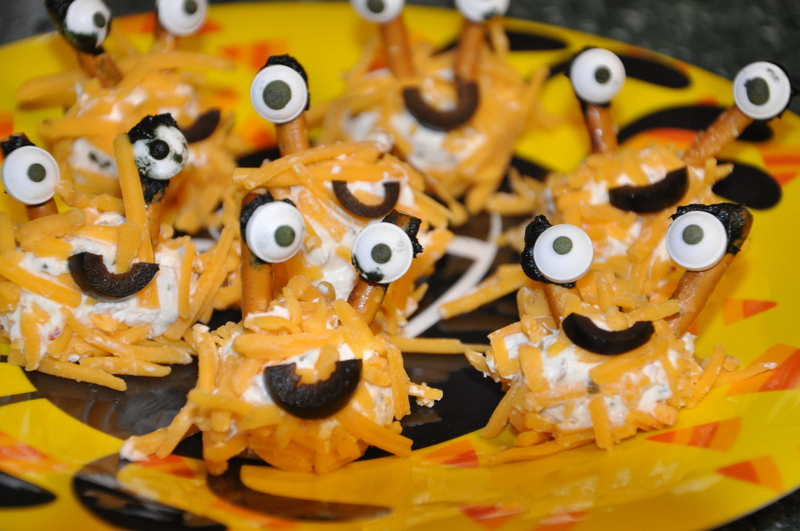 Place mouth on cheese ball. 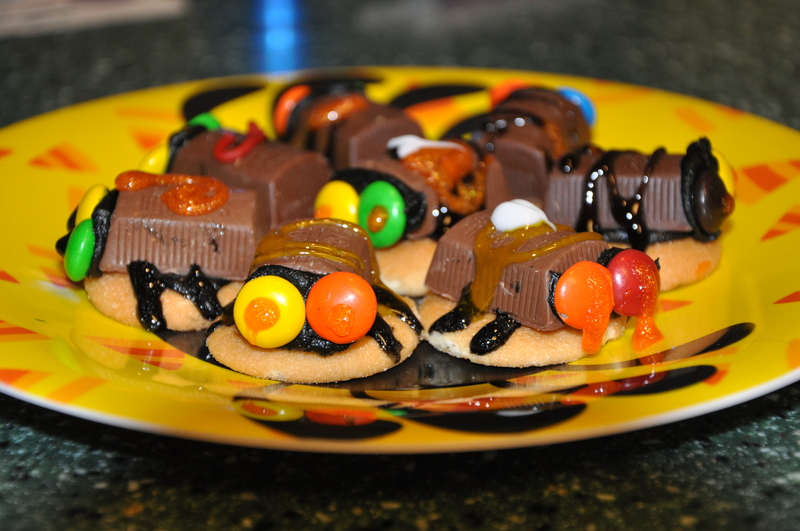 Place a dab of black icing on the back of the “eye-ball” and stick to pretzel stick (cut pretzel in half). Insert into cheese ball. Place black icing on round side of wafer and top with chocolate nugget. 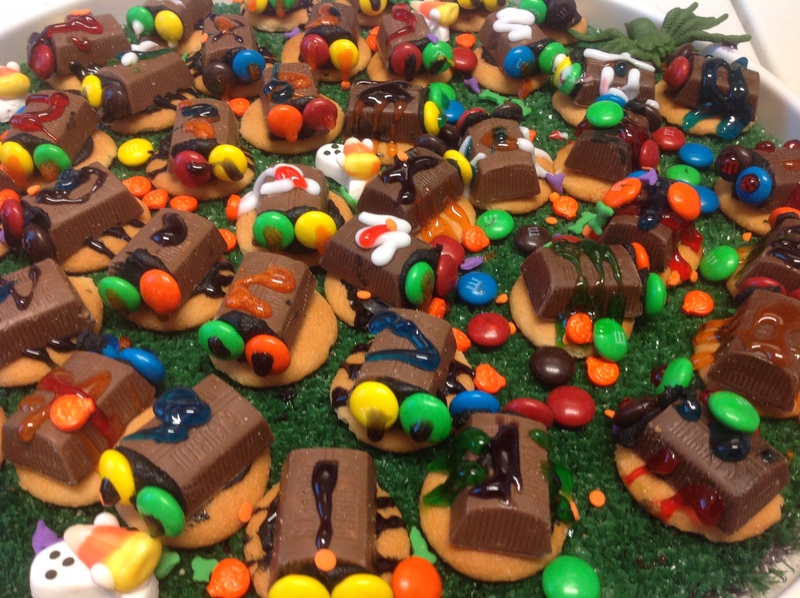 Add black icing to end of nugget and place two M&M’s over icing for eyes. 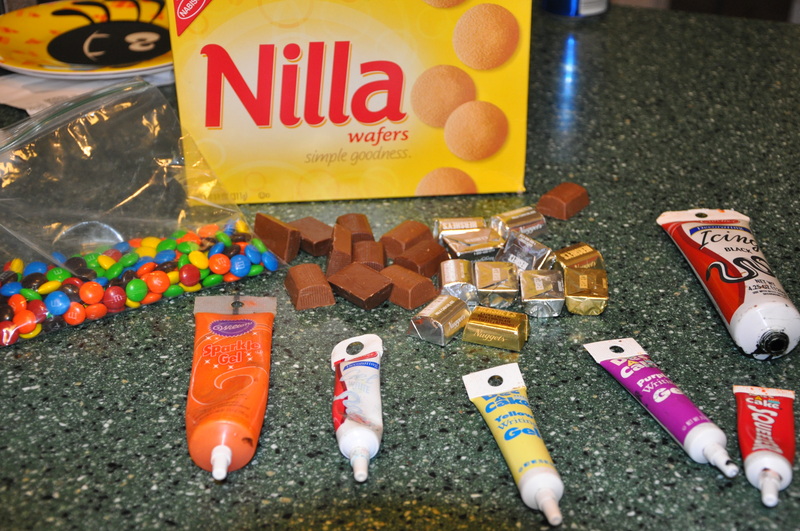 Use various gels to decorate. 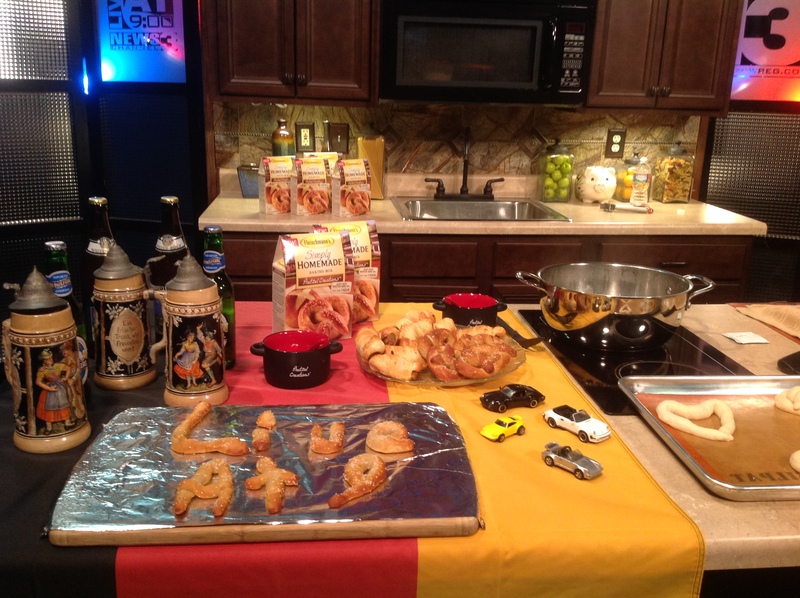 What better time of the year to make pretzels….Octoberfest!!! Oktoberfest is the world’s largest fair held annually in Munich, Bavaria, Germany. It is a 16-day festival running from late September to the first weekend in October with more than 6 million people from around the world attending the event every year. To the locals, it is not called Oktoberfest, but “die Wies’n”, after the colloquial name of the fairgrounds (Theresienwiese) themselves. The Oktoberfest is an important part of Bavarian culture, having been held since 1810. Other cities across the world also hold Oktoberfest celebrations, modeled after the original Munich event. The Munich Oktoberfest originally took place during the sixteen days up to, and including, the first Sunday in October. In 1994, the schedule was modified in response to German reunification so that if the first Sunday in October falls on the 1st or 2nd, then the festival would go on until October 3 (German Unity Day). Thus, the festival is now 17 days when the first Sunday is October 2 and 18 days when it is October 1. In 2010, the festival lasted until the first Monday in October, to mark the anniversary of the event. The festival is held in an area named the Theresienwiese(field, or meadow, of Therese), often called Wiesn for short, located near Munich’s center. Large quantities of Oktoberfest Beer are consumed, with almost 7 million litres served during the 16 day festival in 2007. Visitors may also enjoy a wide variety of traditional food such as Hendl (roastchicken), Schweinebraten (roast pork), Schweinshaxe (grilled ham hock), Steckerlfisch (grilled fish on a stick), Würstl (sausages) along with Brezen (pretzel), Knödel (potato or bread dumplings), Käsespätzle (cheese noodles), Reiberdatschi (potato pancakes), Sauerkraut or Rotkohl/Blaukraut (red cabbage) along with such Bavarian delicacies as Obatzda (a spiced cheese-butter spread) and Weisswurst (a white sausage). In a medium size mixing bowl add combine yeast and sugar. Stir in very warm water (105-115°F). Let sit 3 to five minutes. Add pretzel mix, oil and cheddar cheese, stir until thoroughly combined (dough may be stiff; use hands if desired). Cover dough and let rise 25 minutes in a warm, draft-free place. Remove sausage from box. Place on paper towel and microwave one minutes. Pat sausage dry. Divide dough into 20 equal sized balls. On a clean, dry surface roll each piece into an 9-inch rope. 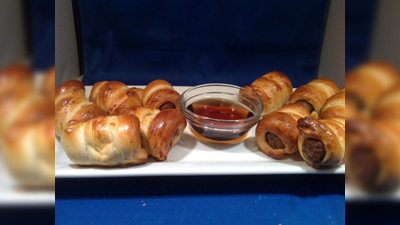 Wrap rope around sausage and place on prepared baking sheet. Continue with remaining pieces. Brush each pretzel sausage with an egg wash (one egg slightly beaten with one tablespoon water). Bake 12-15 minutes, or until slightly golden. Serve with warm maple syrup. In a saucepan, combine sugar and water. Cook and stir until sugar is dissolved. Remove from heat, and stir in maple flavor.